Is prosecuting the biggest case or your career worth your family-s safety? District Julia Davenport has asked herself that question everyday since a dangerous criminal she is gearing up to prosecute is unexpectedly let out on bail. He has threatened her in the past and would do anything to keep his case from going to trial. In order to protect herself and her daughter, she must now rely on a man who has his own secret motives for protecting them. A man who in many ways may be far more dangerous to her than one she fears... 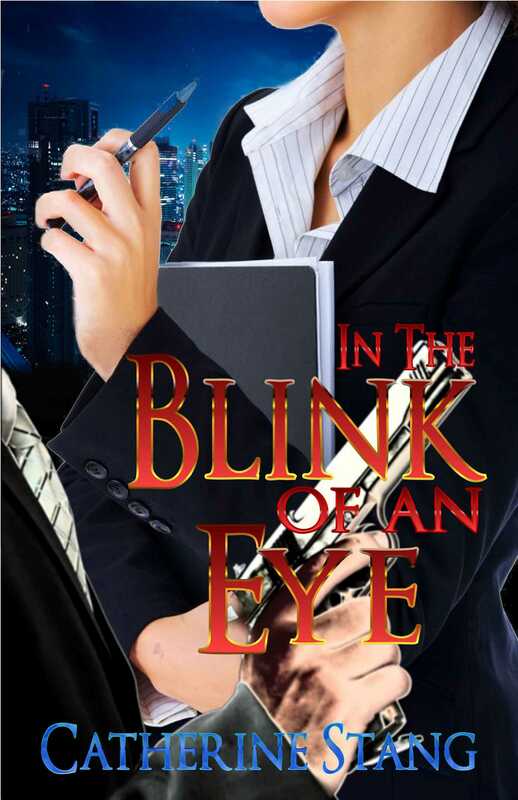 IN THE BLINK OF AN EYE is a thrilling romantic suspense from author Catherine Stang!